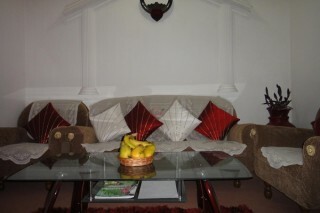 Located in Ishber, Nishat, this is an offering a room in a family-run property. 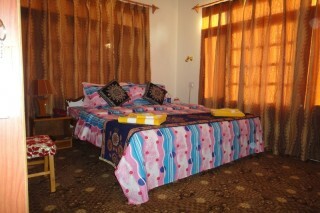 The room is equipped to accommodate up to three people, and is furnished with a double bed, wall-to-wall carpeting, and patterned curtains on the ample windows. Gather around with friends or relax with your travel companion in the common living room furnished with English-style sofas and a glass-topped centre table. 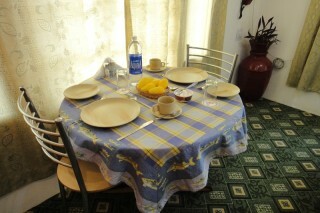 Have your meals in the compact common dining room equipped with small dinettes. Guest House is situated in a peaceful, ecofriendly locality of Ishber, Nishat which is one of the posh residential area of Srinagar. 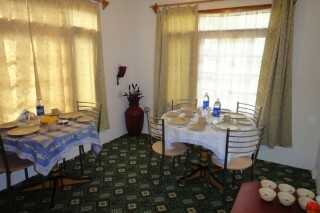 This is an affordable guest accommodation with all modern amenities. 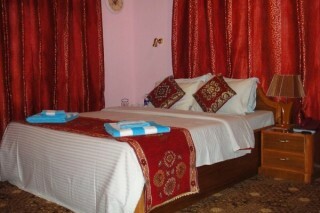 We ensure that your feel cozy and comfortable while staying with us. Every visitor is highly preferred customer of esteem. All our rooms in are first-class properties, fully furnished to the standards of a luxury hotel and offer direct telephone line, Complimentary Breakfast, and broadband wireless internet access to name a few. However, the price is much different. We estimate that a stay in one of our guest rooms you can save you upto 50% of the price of a hotel. 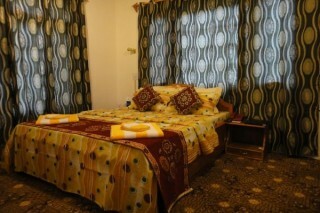 Check in, get your Guest key and become our guest for your short stay in Kashmir Valley. Half an hour away from the airport.